Stories about another Time Lord who survived. And of course, my very own bad guy. In the 51st century, the Daleks face the risk of extinction as a new force comes to power in the Galaxy … and the Eleventh Doctor tries to throw spanners in both their works, lest the human race become casualties. The Dalek-Movellan war was a subplot introduced to Doctor Who in the 1979 serial “Destiny of the Daleks,” but undeveloped except for a quick hand-wave in “Resurrection of the Daleks,” indicating that the Daleks had lost the war very badly. The victorious Movellans, however, disappeared from show canon at that point and have barely been referred to since (save for a very quick appearance in the 2017 season opener). Very little of their origins and motives have thus been revealed. 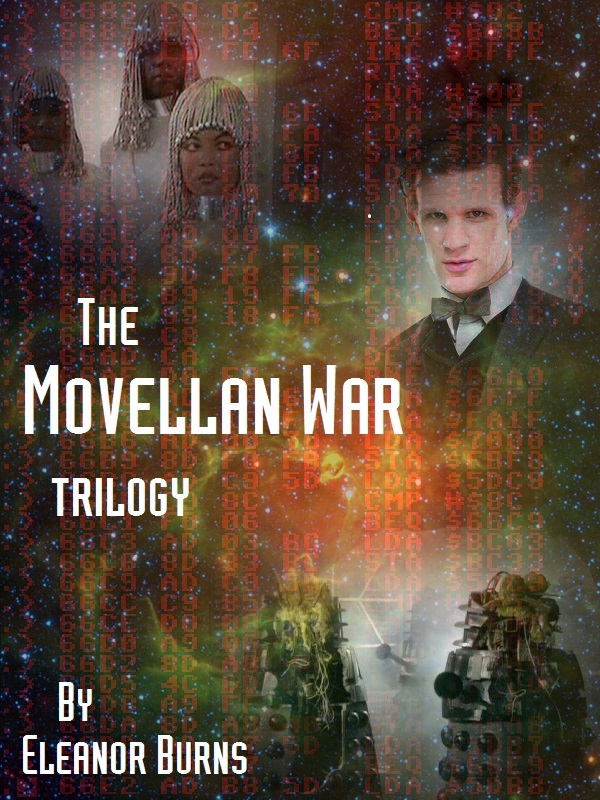 In attempting to fill these gaps myself, I have been inspired by the non-canonical history of the Movellans that was supplied within the manual of The Doctor Who Role Playing Game (FASA, 1985), by Michael P. Bledsoe, Guy W. McLimore Jr., and Patrick Larkin. Also, by the BioWare game “Mass Effect” and its strikingly similar story of the Geth: another race of rebel AIs. Amy Pond had barely stepped out of the TARDIS before it took off again, leaving her behind in the 70's/80's (She was always a bit confused on the date). While waiting for the Doctor and Rory to return, she gets a job at UNIT as the Doctor's new assistant. At least life isn't boring! A collection of drabbles, set at night in and around the TARDIS. All of these can be read as standalones. AU - What if Rose stayed with the Doctor. Short stories of 11, Rose, Amy, Rory, and Jenny. What would happen if the ponds came back to travel with the doctor and Clara? Written by me - posted anon on a kinkmeme - archived here.